A sweet little deer is on the way! 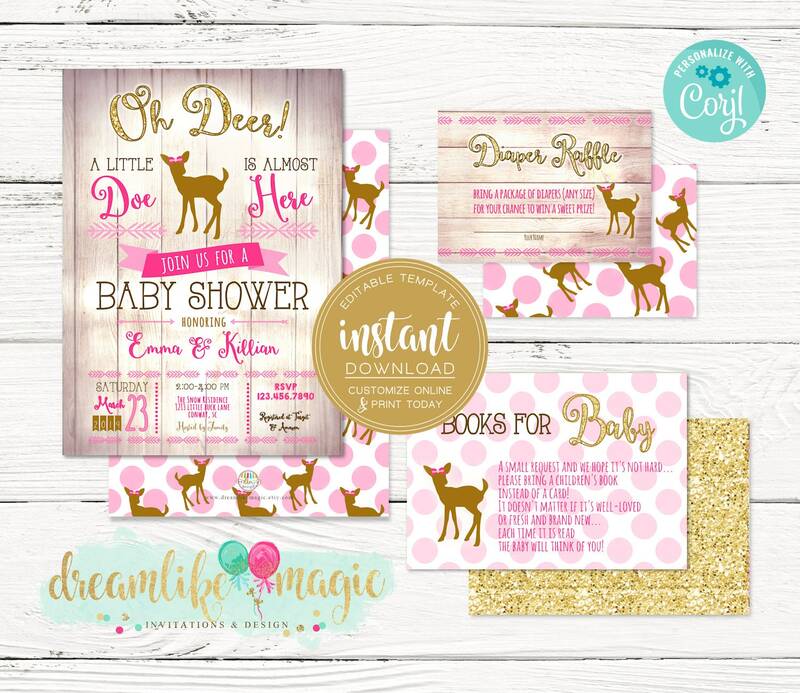 Invite your family & friends to celebrate the upcoming arrival of your DEER one with our rustic wood and gold glitter little doe invitation set! Do It Yourself with our Editable Baby Shower Invitation Set, which includes a 5x7 Invitation, Book Request Card & Diaper Raffle Ticket. Want us to customize and or print for you? Please send us a convo for pricing! This design includes a high resolution photo of glitter used, it will print as shown, quality of print will depend on your printer.